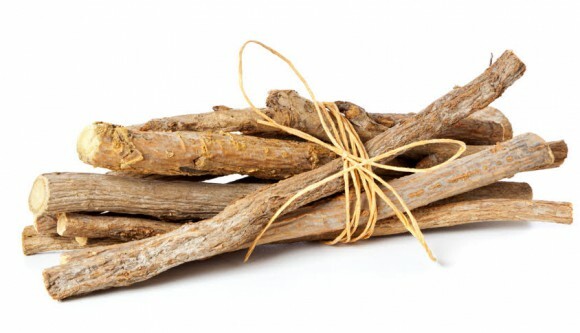 If you are looking for licorice root benefits, side effects and dosages you came to the right place. Licorice has been used by cultures around the world for thousands of years with great success. It comes with a little controversy though. In this article you’ll take a look at all that, plus what modern science has to say. And you’ll see all the different ways to take it and more to keep you safe. What Does History Have To Say About Licorice? Sometimes I feel people are too caught up in what clinical studies have to say and overly obsessed with proving everything with science. It’s definitely important but history is a good indicator too. If history isn’t your thing, or you are only interested in what modern science has to say, you can skip to to the next section. So what did the enlightened cultures of that past use licorice for? It’s been in use for more than 5000 thousands years in China. It’s still one of the top healing herbs there. Archaeologists found licorice sticks in the tomb of King Tut; the Egyptians regarded it that much and believed it to be a cure-all. Then it was called sweet root. The Ancient Romans had a long history with licorice too. Famous Roman naturalist, philosopher and author Pliny the Elder recommended the herb as an expectorant and stomach soother. Greek physician Dioscorides, who was employed by the Roman army, wrote a widely read 5 volume encyclopedia on herbs called De Materia Medica (Latin for “medical material”). There he states licorice juice is good for colds, sore throats, and chest and gastrointestinal problems. Famed Saint Hildegard of Bingen, who is well known for her role in 11th century German medicine, prescribed licorice for stomach and heart problems. Many 15th century German and Italian herbalists believed licorice to be a great remedy for cough and respiratory problems. Native Americans drank a tea made of American licorice as a cough remedy, laxative, earache treatment, and to mask the tastes of bitter herbs. According to The New Healing Herbs, by Michael Castleman, 19th century Eclectic physicians in America prescribed licorice for colds, urinary problems, coughs and other pectoral affections. As you can see history gives this herb a ringing endorsement. What Do Modern Tests And Experts Have To Say? Many people try to discredit the usefulness of herbs due to lack of FDA approval. There’s really one reason for this and it isn’t because herbs are ineffective; it’s because it costs 500 million dollars to get something approved by the FDA. That’s right, 500 million dollars. Although there’s plenty of reputable tests and science that proves the worth of licorice, no one going to pay that price to get a herb approved. Big pharmaceutical companies are the only ones who can afford this cost. They’ll make the money back quickly because of the high costs of prescription medicines. Herbs are cheap and easily obtainable so you wouldn’t make the 500 million back. Big pharmaceutical profit greatly (to the tune of 400 billion dollars annually) from this and the general public suffers the price. Prescription medicines are the 5th leading cause of death in America; that’s more than all illegal drugs deaths combined! And more than all automobile deaths. Lucky for you and I there are government institution that believe in the power of herbs and regularly recommended them for many problems, you just won’t find them in America. In Germany herbs are much more mainstream and doctors prescribe them often. 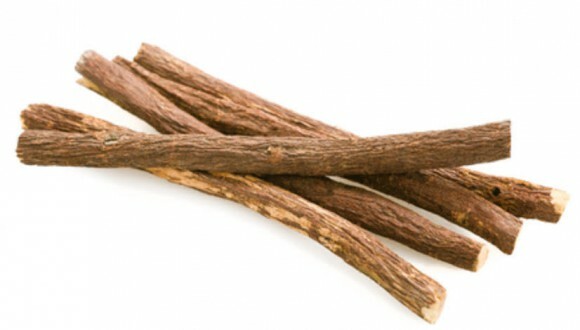 Because of its high profile licorice has been tested immensely and proven to be effective in much more. We’ll deal with what Commission E endorses first. Licorice combats the 200 different viruses responsible for colds and flu because it contains glycyrrhetinic acid, which is a natural cough suppressant. You will see licorice as a common ingredient in cough and cold formulas in Europe. Also, licorice induces the release of interferons which are your bodies own antiviral constituents. It’s also sweet and pleasant tasting, making it perfect to combine with other less than tasty cold-fighting herbs like goldenseal. There are dozens of tests that prove licorice excels with ulcers. In some studies it’s shown to prevent recurring ulcers in the small intestines better than standard prescription medicines. Again glycyrrhetinic acidplays a role as a anti-ulcer. Long time use of Licorice can have some side effects including water retention. To prevent this it is best to take deglycyrrhizinated licroice (DGL). In one study DGL was proven to heal ulcers as fast as any new pharmaceutical drug on the market. It also protects the digestive lining from aspirin’s ulcer promoting effects. DGL is recommended more than plain licorice for ulcers. Licorice has shown anti-inflammatory and anti-arthritis properties in animal studies. Glycyrrhetinic acid is again responsible for this. Dr. James A. Duke, the worlds foremost authority on healing herbs, claims you should take a combination of licorice, willow bark and garlic, together, for arthritis. Each herb plays a role in easing the condition and counteracts each others’ side effects. If you wish to take licorice for arthritis you should talk to your doctor. Thousands of people die a year in the US from asthma which causes wheezing, coughing, chest congestion, shortness of breath and anxiety. 20 millions Americans had asthma in 2009. Licorice helps soothe the throat which makes it very valuable here. You should go for the DLG preparation if you are planning on long terms use. Another good plan is to stir your herbal teas with a dried licorice root, this way you avoid the side effects of too much licorice. Athletes foot is a fungal infection that can affect more than just your feet. Jock itch is the spread of athlete’s foot to your groin. Licorice reportedly has 25 anti-fungal compounds, making it the herb with the most anti-fungal compounds. You’ll want to use this herb externally by making a decoction using 5 to 7 teaspoons of the dried herb per cup of water. Boil for 20 minutes, let cool and apply the decoction directly to the infected areas with a clean cloth. When testosterone turns into dihydrotestosterone (DHT) at high rates it causes prostate enlargement. DHT also attacks hair follicles and may play a big role in hair loss. There are FDA approved DHT blockers (stops the conversion of testosterone to DHT) like Proscar and Propecia but they have some bad side effects. Licorice is a natural DHT blocker, like saw palmetto, and can help prevent and stop thinning hair and receding hairline. You can add some licorice to your favorite shampoo for good results. Body odor can be a social nightmare. Lucky for you and I licorice has 20 chemicals with anti-bacterial action. There are a few different ways you can create a deodorant with this herb. The first is to make a powder and rub them under your underarms; this could stain your clothes though. You can take a bath with it too. Another tip from Dr. Duke is to “buy licorice essential oil, dilute them in vegetable oil (try a drop or two of essential oil per tablespoon of vegetable oil) and use the resulting mixture as lotion under the arm.” You should never ingest essential oil, it is extremely toxic. Canker sores effect up to 50 percent of Americans and are painful sores in your mouth. It can typically take up to a week to heal and there’s not too many medicines that can help. In one test conducted by Indian researchers, patients with canker sores were given a DGL mouth wash. 75 percent of participants experienced substantial relief after a day and were completely healed by day 3. There isn’t really a singe cause for chronic fatigue syndrome. Some people think allergies, drug reactions, yeast infections, psychological problems, and other disorders are to blame; it effects more than 3 million Americans. Symptoms include laziness not cured by sleep, depression, headache ache, fevers, lack of concentration, general weakness and chronic illness like infections, stomach problems and sore throat. There are many more too. You can make a licorice tea that can be very helpful for fatigue. You can also combine it with other antiviral herbs (echinacea, goldenseal, lemon balm and ginger.) to make a tea. I can definitely see why you would want to get rid of dandruff. This, like body odor, is a problem that can really hurt you socially and make you very self conscious. Dandruff is a common scalp problem and is dead skin from your scalp. Licorice fights dandruff because the glycyrrhizin in this herb minimizes the scalps secretion of oils, according to Lawrence Review of Natural Products. There are many other properties that can help sooth your scalp too. You can steep some of the dried herb and use it as a hair rinse. Depression can be small to completely debilitating. There are several causes including mental, emotional or physical. There’s a ton of symptoms too. You may feel profound sadness, loss of appetite, inability to sleep, inability to find joy and things of that nature. Medications aren’t your only option to fix this problem. Honestly you should exhaust all natural options (exercise, change in diet, deep breathing) before turning to prescription medications. Licorice is one of the best herbs for this condition. This root contains 8 monoamine oxidase inhibitors which act as an antidepressant. You can use licorice to sweeten any other herbal tea to help with this problem. Even those who brush and floss are at risk for gingivitis and risk increases as you age. Glycrrhizin controls gum inflammation, which is the definition of gingivitis and can control plaque. It’s also high in magnesium which can help. This herb is generally good for your teeth and can help prevent tooth decay. You can use licorice as a sugar or honey substitute. Gout is a form of arthritis and is caused by a build up of uric acids. Eventually uric acid crystals form and effect your joints; they also can form in your organs which can cause a lot of damage. Apparently the pain associated with gout is extreme and 95% of people suffering are men over 30. Licorice contain several xanthine oxidase (XO) inhibitors which prevents uric acid to synthesize. Another herb with many XO inhibitors is Chiso. You can try combining both licorice and chiso for maximum results. Heartburn is a problem many face and is something my father has to deal with on a daily basis. Only he calls it agida. It can sometimes keep him up all night because it gets so bad. It develops when the muscular opening from the esophagus into the stomach isn’t working properly. This causes stomach acids to rise past their normal limits and into the esophagus. Licorice is an antispasmodic which reduces the the production of stomach acid. This prevents heartburn. For long term use you will want to use the DGL version of licorice. This is something I have to get my dad into. Hepatitis, inflammation of the liver, has a few causes. It can develop from toxic chemicals and drugs but, in most cases, is viral. Japanese researchers injected 453 people suffering from hepatitis C with a licorice preparation over a ten year period. Over the next 15 years the patients who received the injections were half as likely to develop liver cancer. In a similar study done by Indian researchers, those who were injected were 3 times more likely to survive than those who didn’t. I’ve suffered from cold sores my entire life. They caused me a lot of anxiety when I was growing up, especially in high school. If I knew then what I knew now, I could have just sprinkled some powdered licorice on the sore and spared my self some teenage angst. Because licorice helps the body create interferon it has shown the ability to fight the herpes simplex virus which causes genital herpes and cold sores. There are many immune boosting herbs that show promise in fighting this deadly disease. Again, glycrrhizin makes this herb so valuable and is why it is so helpful with HIV. In a few studies HIV seemed to be inhibited by glycrrhizin. Obviously this is something you will have to discuss with your doctor. When I was about 11 or 12 I was at a basketball camp in the Pocono Mountains in Pennsylvania. During the camp I looked down and noticed this huge red circle on my leg. It turns out I was bitten by a tick and was latter diagnosed with lyme disease. The doctor gave me the worst tasting chew-able medicine for it. It was so bad I’m not even sure I finished the entire prescribed dosage. I wish I knew I could have fought lyme with sweet tasting licorice. My uncle suffers from this and it can be pretty severe. It can keep him in bed for days at a time. If you find yourself in the same position, licorice can help you out tremendously. If untreated for more than a few weeks you risk bacterial invasion to your joints and organs. Licorice contains the most anti-bacterial compounds of any herb and has anti-viral action too, making it very useful. My mom is 51 and this is going to be something she faces very soon. When the time comes, I’ll make sure to recommend licorice. In a study in Portland, Oregon a group of women suffering from hot flash symptoms from menopause were given either a placebo or a herbal formula containing licorice, angelica, wild yam root and burdock. I mentioned earlier that licorice is a DHT blocker and this makes it very useful in prostate enlargement. I remember someone once commented on an article I wrote and said he takes prescription medicines for BPH because his doctor said there were no FDA approved herbs for the problem. This is because of the hundreds of millions it takes to get approval, not because of lack of effectiveness and evidence. There are plenty of herbal treatments that are proven to be just as effective, if not more effective, than FDA approved drugs for BPH. Perhaps this doctor wasn’t aware of these studies or maybe he felt invalidated by them, but there are natural DHT blockers that will help with prostate enlargement. One of the most effective is saw palmetto. Equally effective is licorice. Both have way less side effects than Proscar, the FDA approved drug most commonly prescribed, and both are WAY cheaper. Psoriasis is skin disorder that produces patches of red, scaly patches on your scalp, elbows, knees and other parts of your body. Some experts in the matter believe applying licorice externally to infected areas is more effective than hydrocortisone specific for the condition. If you opt for this route, purchase the extract and apply with a clean cloth or cotton balls. Ironically enough I used to work in a Pharmacy. One time someone came in with shingles and I was very taken back by it. Aesthetically this is definitely not something you want to experience and it comes with painful rashes on your torso and face. Leading naturopath, Joesph Pizzorno, claims licorice extract can clear shingles in three days. This is because of all the anti-viral compounds and immune boosting qualities this herb possesses. You’ll want to seek immediate care from your doctor and discuss options if you have shingles. The Chinese, who regard this herb highly, use licorice to treat tuberculosis often. If you’ve read all the way through you have noticed that licorice has many anti-viral compounds. Also, you have seen it helps your body produce interferon. If you are using for a wound or a cold sore, just sprinkle a little on the area. To make a decoction boil 1/2 teaspoon of the powdered herb to every cup of water for 10 minutes. You can strain if you wish. Drink up to 2 cups a day. As an extract use 10 to 20 drops in water or juice 2 to 3 times a day. You can also sweeten other herbal teas with a pinch of licorice. Licorice sticks and powder have never been reported to cause any problems or adverse reactions. The big safety controversy comes from the extract. There been a few cases where people have consumed WAY too much and ended up in the hospital. It was either eating 2 to 4 ounces a day of highly concentrated licorice candies over a 6 to 7 year period or eating pounds of licorice in one sitting. If you have diabetes, glaucoma, high blood pressure, have had a stroke or heart disease, you should avoid. Pregnant women should avoid too. Most licorice candies today don’t actually contain licorice, they use anise instead. There are a lot of serious conditions in this article and you MUST consult a doctor before you decide to do anything. Talk options and don’t be afraid to bring up licorice. At the end of the day you are responsible for what goes into your body, prescription medications and herbs included. This is one of the most useful and wonderful herbs in existence. It has a long history across continents. Our ancestors knew its powers and used it accordingly. Science backs this up too. Test after test proves licorice’s effectiveness and it holds it own against prescription medications. In my opinion the limited side effects and overall low cost of herbs make them the superior choice. Although licorice has side effects when consumed to the extreme, it is generally safe. My favorite place to buy herbs is Starwest Botanicals and Buddha Teas. They offer really high quality licorice products and every thing is certified organic. You can learn more about them by clicking below. If you believe in the power of herbs, share on social media for friends and family to see. Also, share your thoughts, questions and opinions below and I’ll respond as fast as possible. ← Is Saw Palmetto A DHT Blocker? 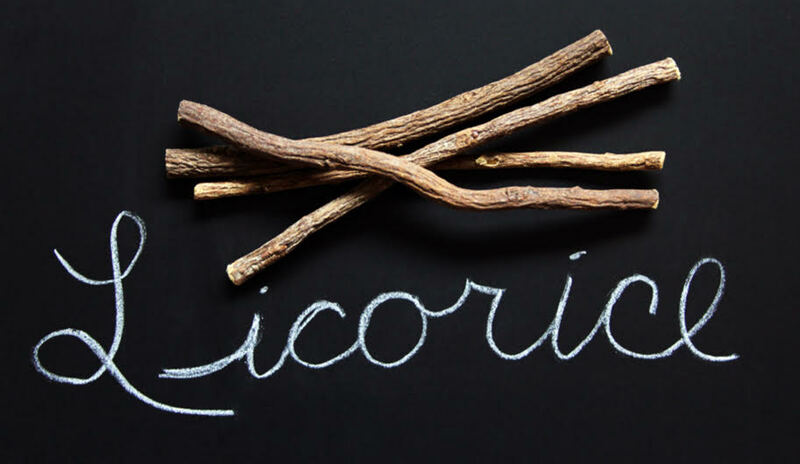 Great post about licorice root! I remember my father use to chew on this when I was younger… he used to buy it from our local organic shop. I haven’t tried it since then so might give it another go (wasn’t too fond of it back then haha). I never knew about all the other added benefits and uses for this, very interesting stuff. It’s a very helpful herb. It can helpwith so many problems, just make sure to use in moderation.